Dr. Kathy Chriqui graduated with a Bachelor of Science in Visual Science and a Doctor of Optometry degree from the Southern California College of Optometry. Prior to settling down in the San Fernando Valley, Dr. Chriqui had a primary care practice in Beverly Hills for 10 years. She served as a staff doctor at the Southern California College of Optometry and has been on staff at Cedar Sinai Medical Center for over 25 years. Among her affiliations are the American Optometric Association, the California Optometric Association, the Los Angeles County Optometric Society and the San Fernando Valley Optometric Society. Dr. Chriqui has also co-managed Lasik procedures for 15 years and chooses to work with only the most experienced surgeons who use state of-art technology. Since starting her practice in the Chatsworth and Northridge area, she has formed strong ties to the community, becoming part of the local Chambers of Commerce. She often gives back to the community in unique ways, such as having her social media followers nominate their favorite teachers for a free pair of glasses or giving away scholarships to outstanding high school students. When Dr. Chriqui is not working she enjoys traveling, cooking and dancing. Dr. Veal completed her Bachelor of Science degree in Psychobiology at the University of California, Los Angeles. She received her Doctor of Optometry degree from the Southern California College of Optometry and has received training in Ocular Disease, Low Vision and Vision Therapy. She has completed internships in the Los Angeles area, including at the Downtown VA Medical Center, the Optometric Center of Los Angeles, and the Center for the Partially Sighted. Dr. Veal is proficient in prescribing and fitting glasses or contact lenses to improve your vision for visual disorders, such as nearsightedness, farsightedness, astigmatism and presbyopia. She is fully licensed by the California State Board of Optometry and is certified in the use of diagnostic and therapeutic agents to detect, treat and manage many ocular conditions such as dry eyes, infections, allergies and disease. Dr. Veal has been in the optometric industry for almost 30 years. She started out as an optometric assistant, went on to become a Board Certified Optician and Board Certified Contact Lens Technician and finally managed an optometric practice before becoming an optometrist. 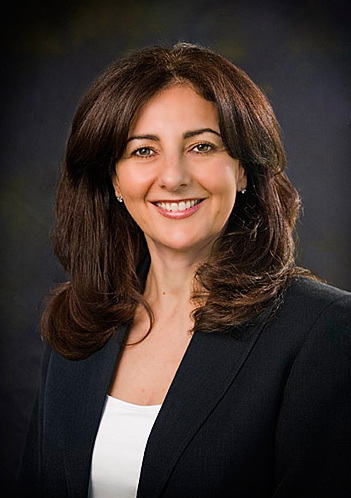 She has been associated with eye care practices in Santa Monica, Beverly Hills, Burbank and Valencia and works closely with many different ophthalmologists to provide care for Cataract, LASIK, Pterygium and other eye related surgeries as well as in treatment and care of eye disease such as Age Related Macular Degeneration and Glaucoma. Dr. Veal has served as a volunteer for the Special Olympics performing screenings for athletes and for the Lyons Club Eyemobile and has also participated in vision screenings for school aged children. She has been a recipient of the Alcon Case Study Award, the Varilux Student Grant Scholarship, the Great Western Council on Optometry Scholarship and the Drs. Howard, Stanley and David Stein Family Scholarship. Amy is our Office Manager and has been with the practice for 15 years. She became a Board Certified Optician 10 years ago and is currently working toward getting her ABOM as an American Board Optician. Though she is mostly behind the scenes making sure everything in our office runs smoothly, she enjoys styling patients with the latest and greatest frames that come into our office. When she is not busy being our amazing Office Manager, Amy loves to spend time with her family and friends, especially her two adorable kids. She also loves to go hiking and practice yoga. Evelin is usually the first face you will see when you come into our office and has been with our practice for over 5 years now. In addition to being the friendly voice you hear when you call, she is also our resident office technology expert and insurance billing pro. She is always happy to answer any questions you have about your eye care needs and always goes the extra mile for our patients. Outside of work Evelin loves spending time with her two wonderful kids and husband and enjoys going to the movies and bowling. Kristine has worked in the optical field for 10 years, in all aspects of the front and back office, Kristine is both an experienced optician as well as a knowledgeable insurance biller. She is great at helping our patients choose frames that look good and fit well, even for those with the most difficult prescriptions. Outside our office, Kristine enjoys spending time with her son and extended family and is studying for her certification as a professional make-up artist.